Hi loves! 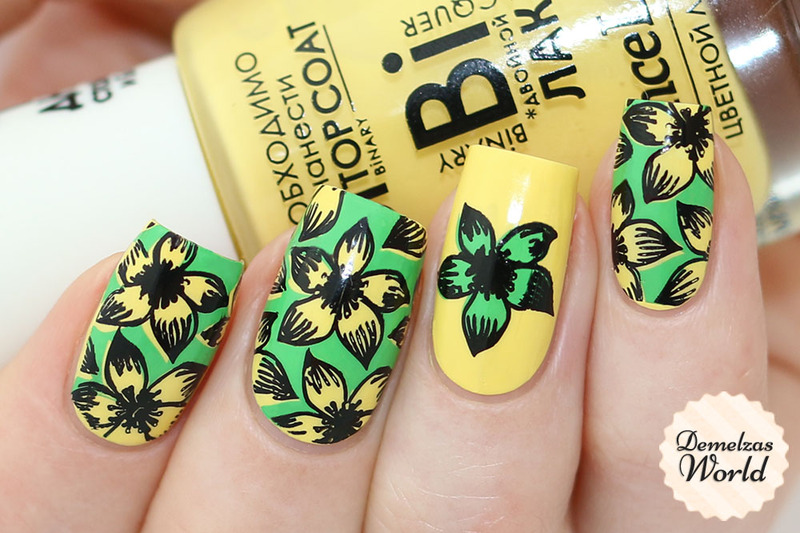 Today I have another mani using stamping and two bright colors! 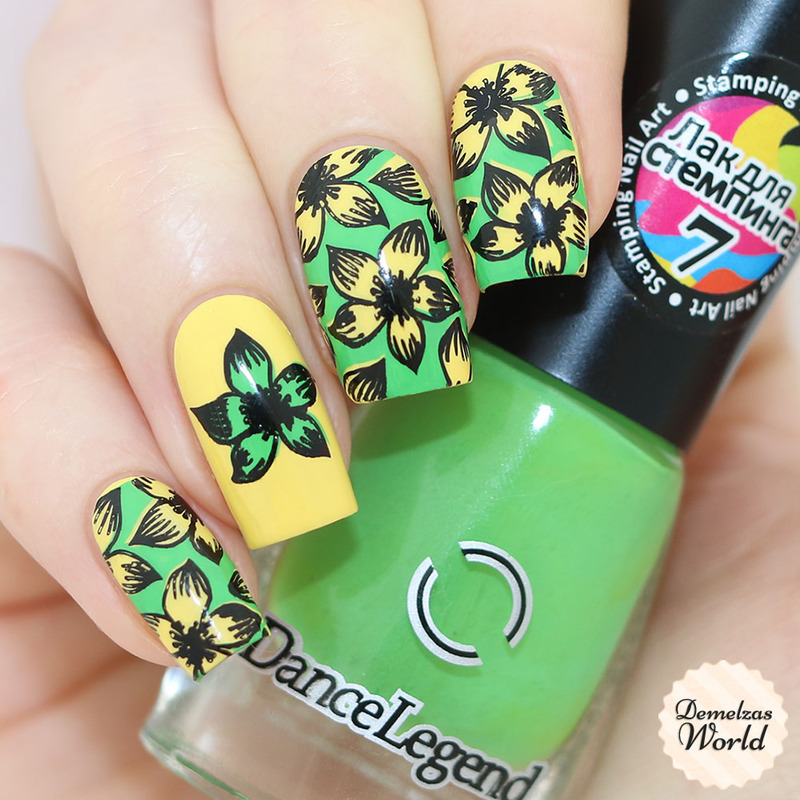 I’ve used Dance Legend Maria as the base, then used the Dance Legend 07 Green Stamping Polish and then stamped the details with their 02 Black Stamping Polish. My topcoat is the Sally Hansen Miracle Gel Topcoat. The design is on the Uber Chic Beauty Stamping Plate 15-02! What color combo should I use next?